Keep it simple with sweet tomatoes, fresh mozzarella, and light and refreshing pale ale. The light taste of this beer will balance out the acidity of the tomato sauce without overpowering the flavor of the mozzarella cheese. A long-standing fan favorite of beer/pizza aficionados everywhere, black IPAs pair perfectly with fresh cut pepperoni pizza. Since pepperoni is a spicier meat, it needs an equally as strong beer to stand up to the taste. The dark, bitter taste of an IPA is the perfect combination for meat lovers, cleansing the palate for delicious flavors of the slice without being overwhelming. Choose a beer or cider with a fruity flavor to contrast the savory taste of this ham-topped pizza pie and create a harmonious balance of flavor with sweet and juicy pineapple. While our selection of beer, wine, and fountain drinks pair well with a classic cheese pizza, wheat beer is a solid go-to beer for simple pies. A wheat beer is light enough to not overpower the savory flavors of the pizza, making it a popular pairing among cheese lovers. For all the veg heads out there, opt for an IPA with a grassier, earthier taste. This pairing will highlight the freshly made ingredients and garden-fresh flavors of your vegetable pizza pie. Pair a scrumptious specialty pizza or build your own pizza pie with ice cold beer and wine from Fired Up Pizza, now open in the Wellington and Loxahatchee area. 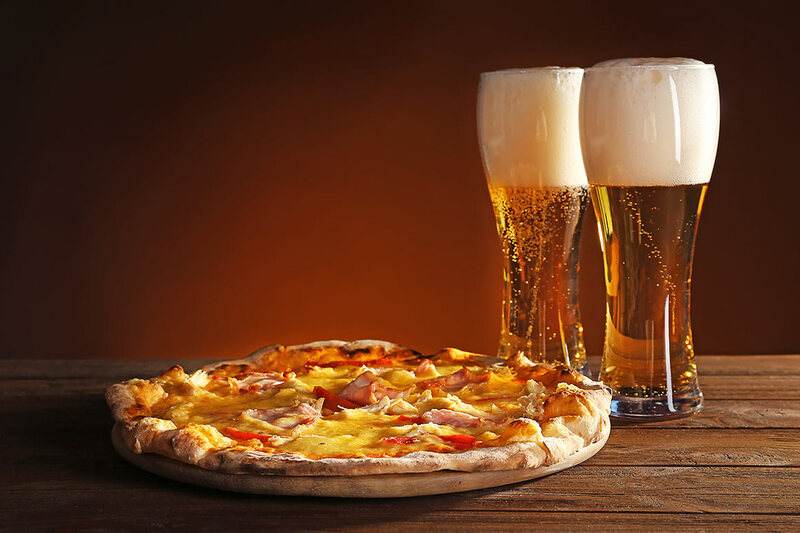 No matter your cravings, we guarantee you’ll find a delicious brew to pair with one of our delicious and savory pizzas. Have a beer/pizza recommendation? If you have any idea suggestions for our chefs, let us know! Contact Fired Up Pizza today to learn more about our restaurant menu and beer selection.